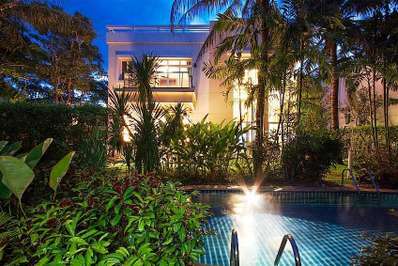 You will seldom want to leave this self-sufficient haven, yet there are great attractions in its vicinity if you wish to explore the area. 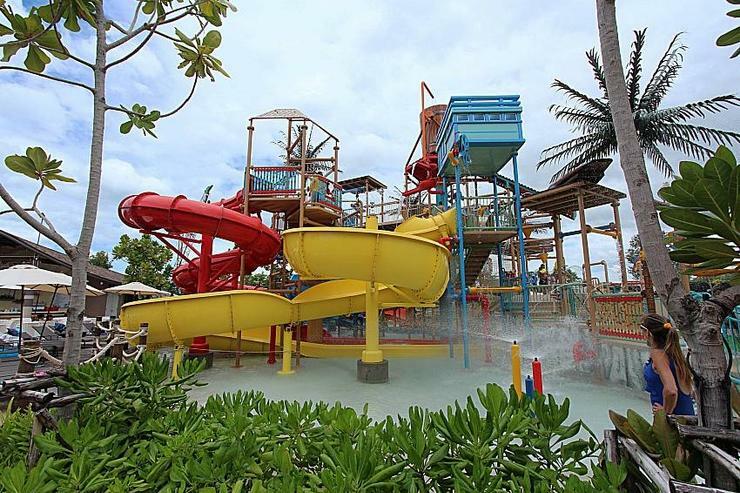 The nearest beach with a number of great restaurants is a mere 10-minute stroll or 1.2 km away, and you can enjoy bicycling to there as well. 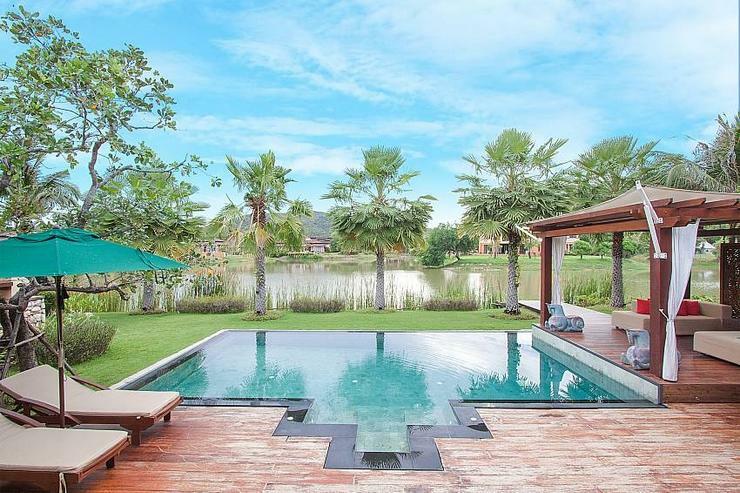 Rajabhakti Park is a 2 minutes’ drive or 2.7 km away from the villa, and Vana Nava Hua Hin Water Jungle is 2.9 km away. 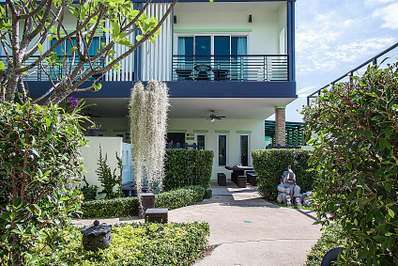 It takes about 20 minutes by car to reach Hua Hin city centre. 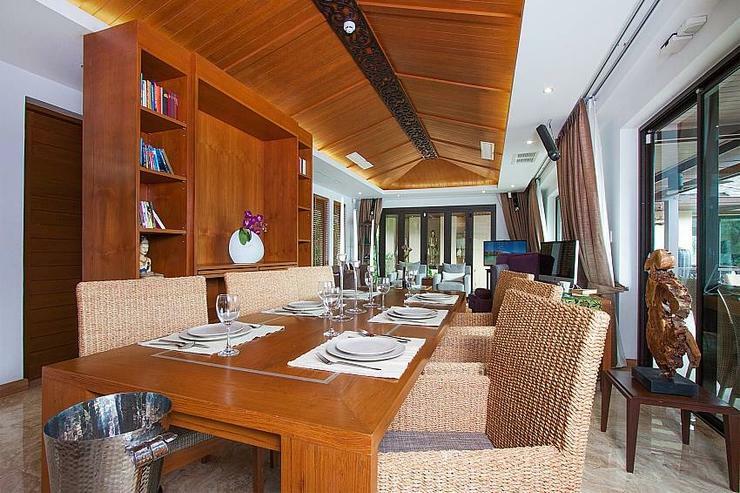 Here is a rental that has it all – fantastic location in a natural setting and spaces created for holiday pleasures. 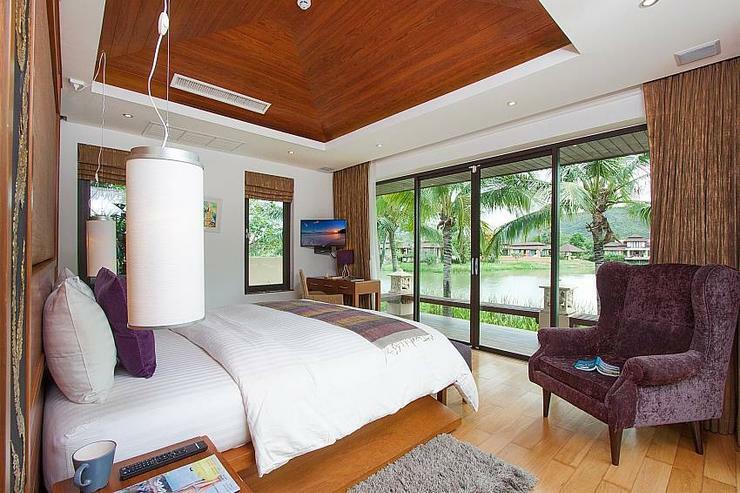 Moreover, the rate includes a selection of bicycles and motorbikes free of charge (with the exception of fuel). 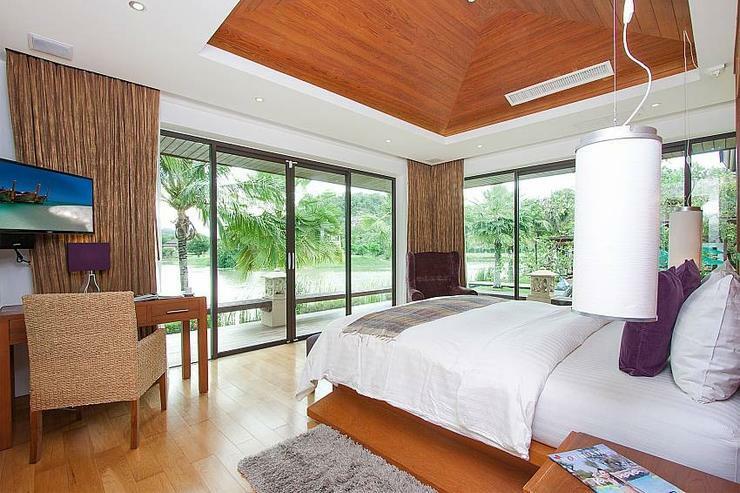 This is a place where guests are bound to feel like superstars. 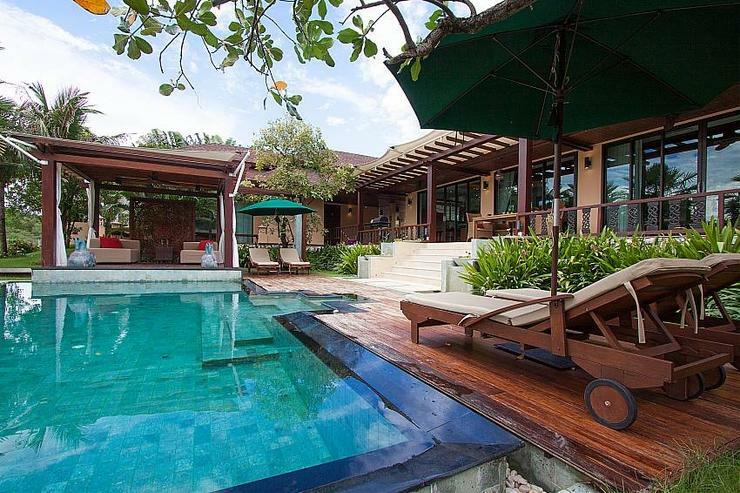 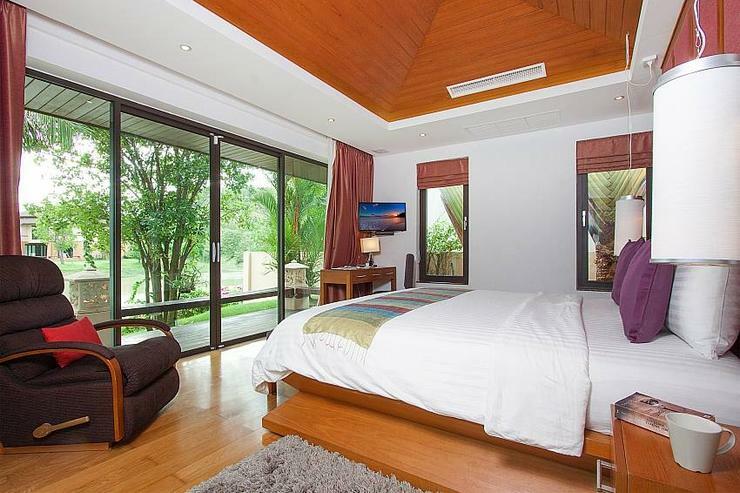 There are 3 bedrooms and 4 bathrooms at the villa that sleeps 6 persons. 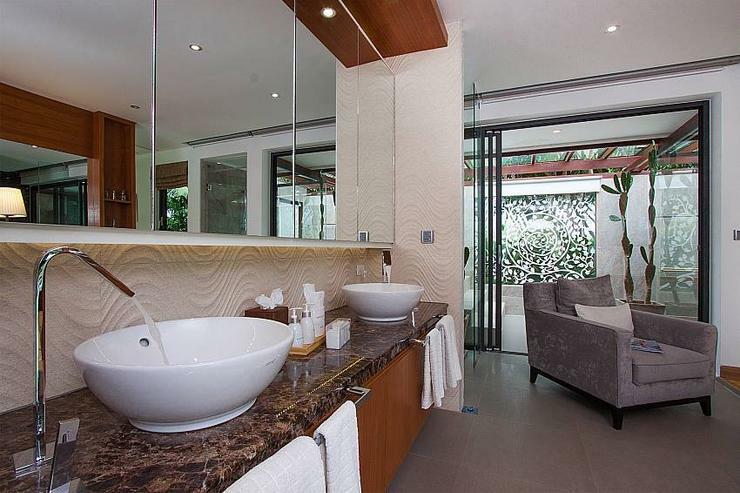 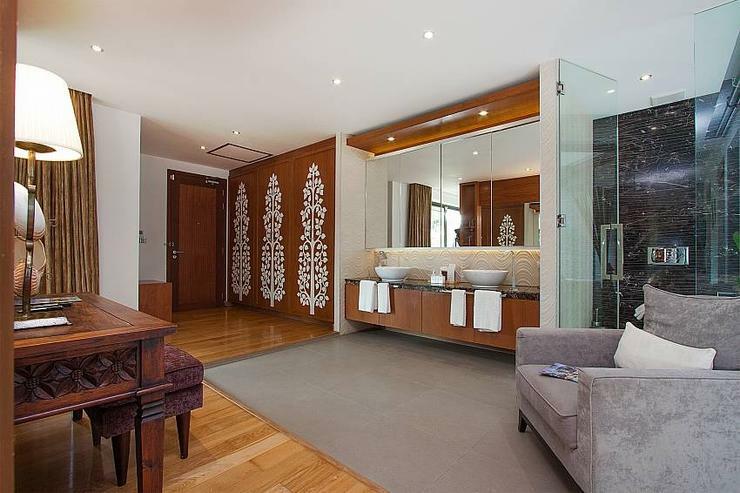 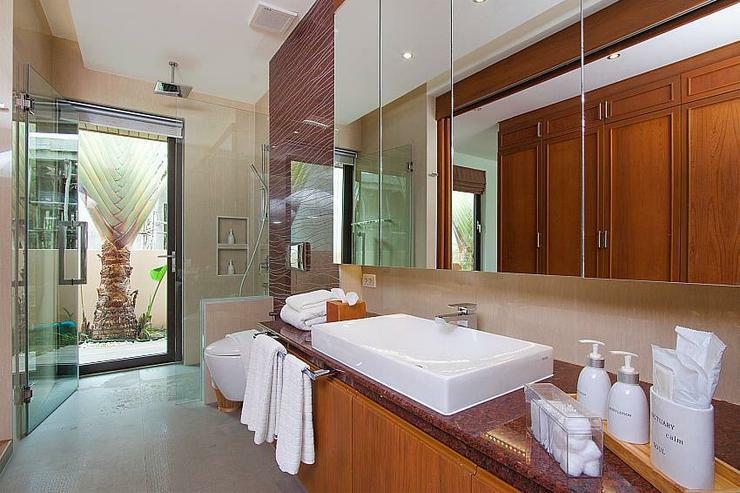 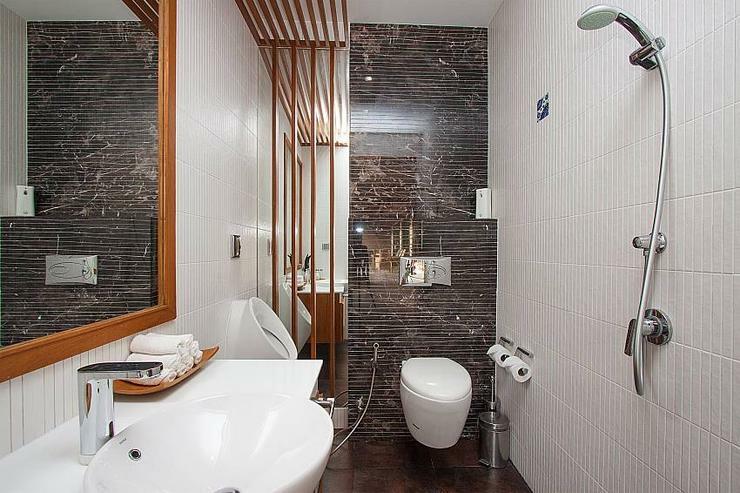 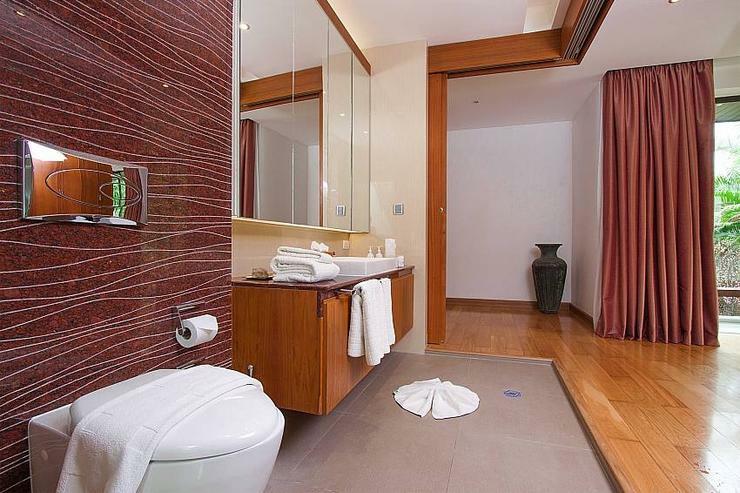 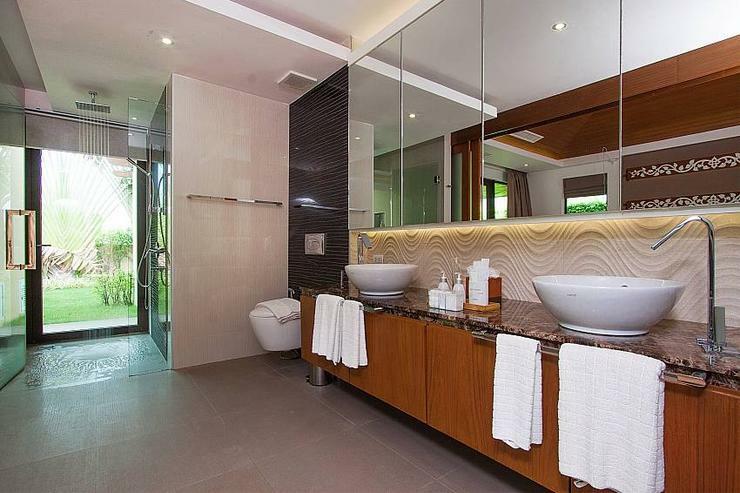 Each bedroom is in a separate area of the property, and each boasts an opulent integral en suite bathroom. 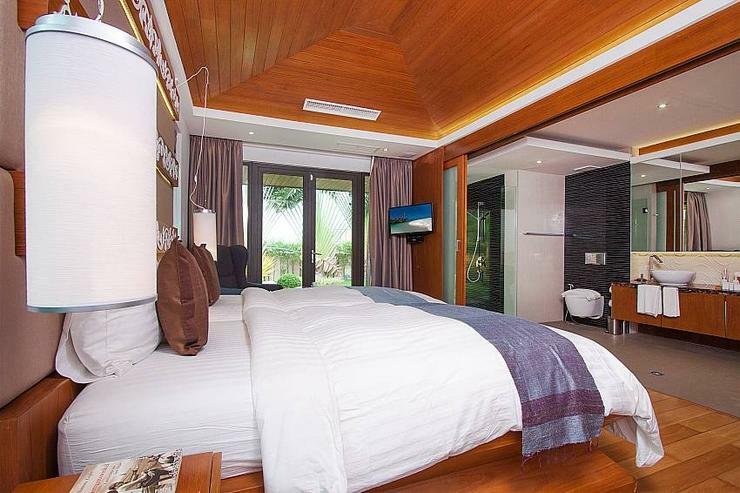 While two bedrooms come with king size beds, the third bedroom has two single beds. 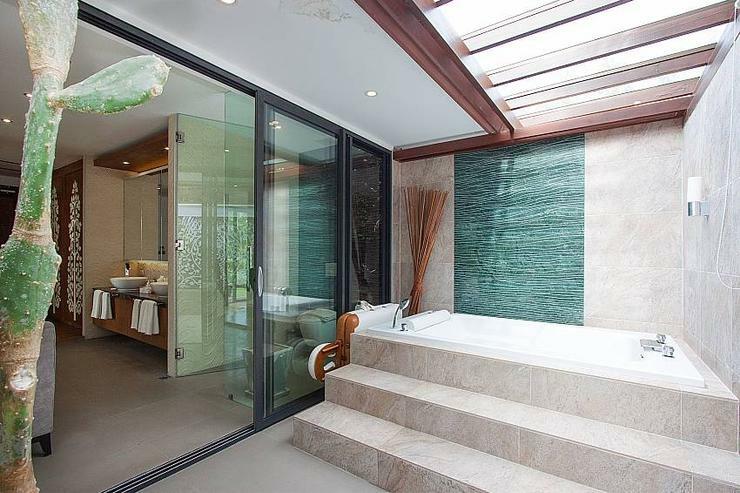 The master bedroom features a Jacuzzi tub. 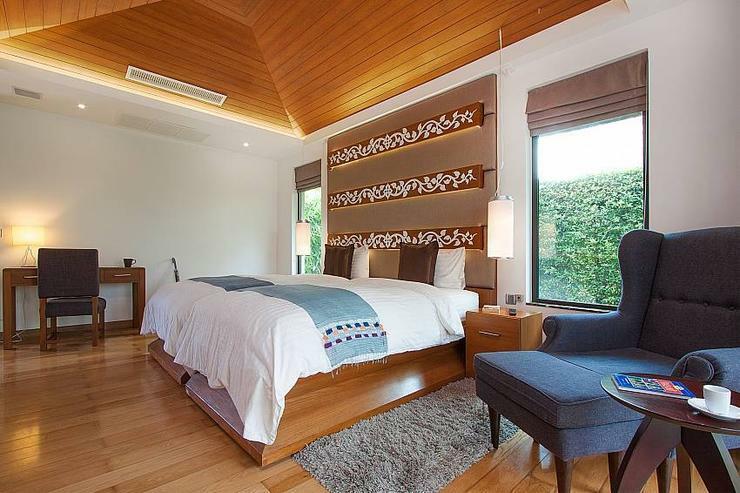 It is possible to add 4 extra beds for a fee, so the house can accommodate up to 10 people in total. 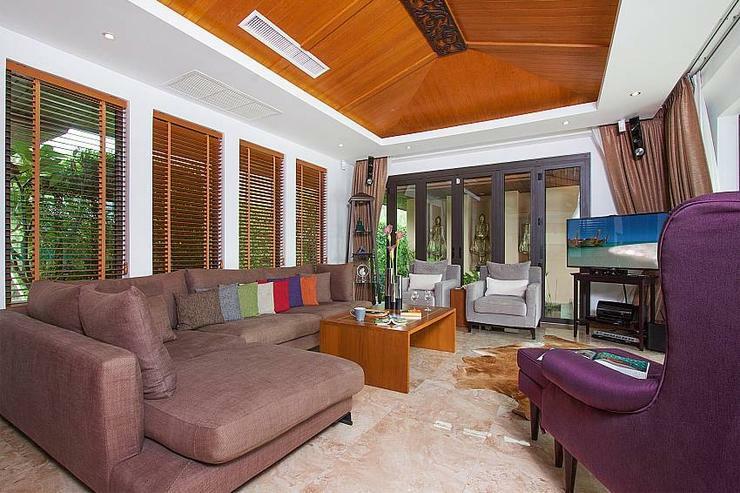 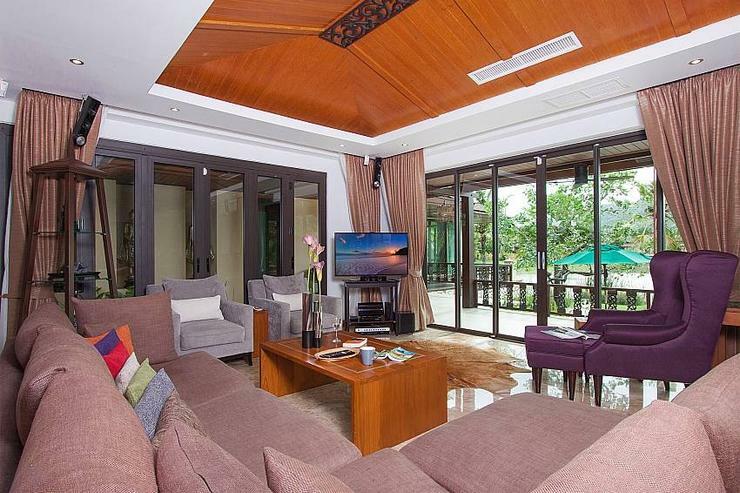 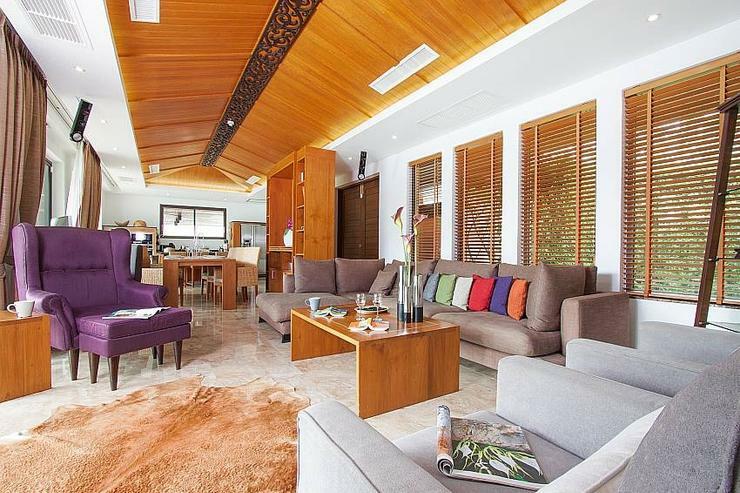 The villa’s common areas are highly comfortable and well-fitted. 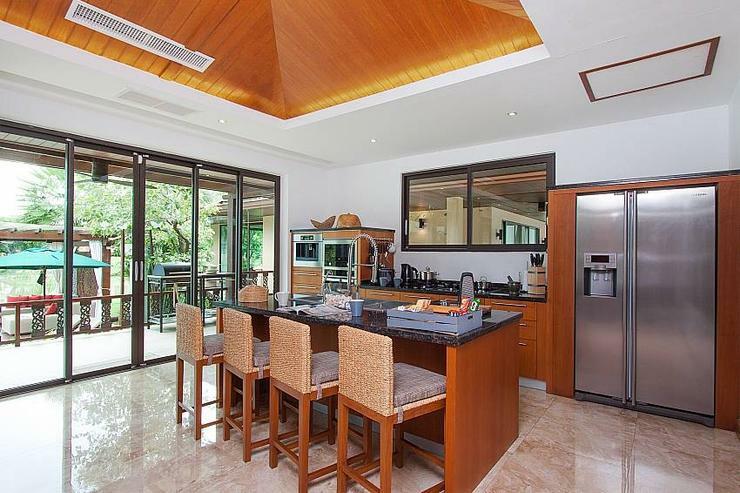 An open plan kitchen, dining and living room is at the middle of the house, featuring everything you might need during your stay. 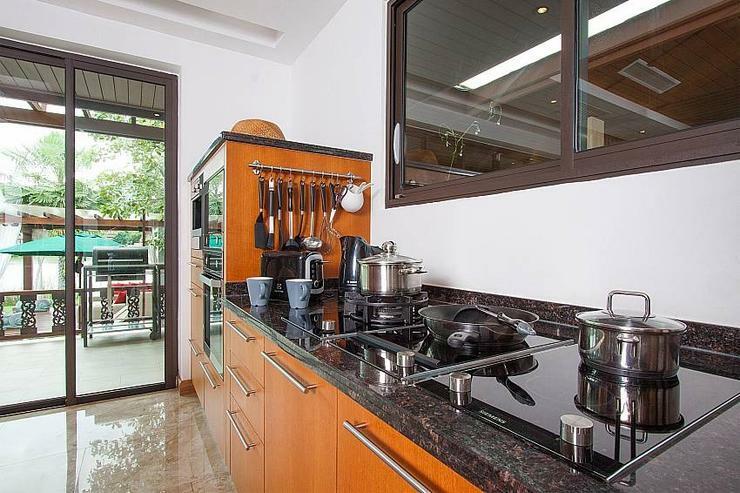 The kitchen is of the highest western standard, the dining room table is set for 6, and the living space includes a home theater with surround system, large book shelf, and a PC. 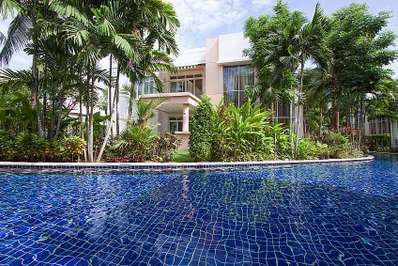 The pool patio has many superb features that include a pool pavilion, sunbeds, tables, and a BBQ. 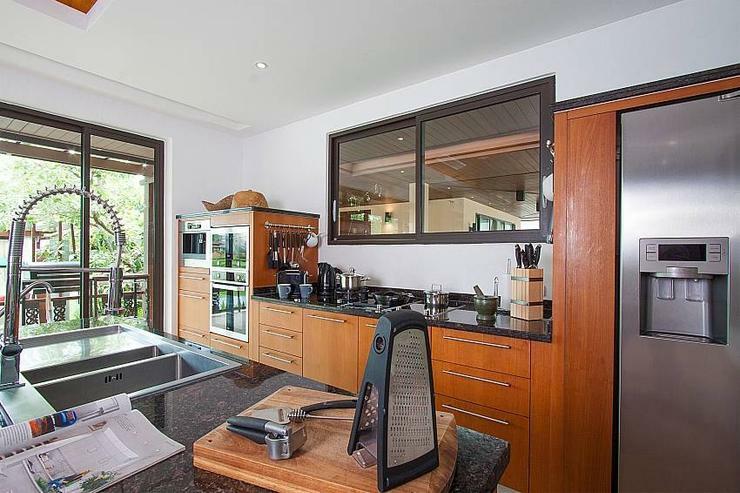 The villa has a washing machine as well as a safe in every room. 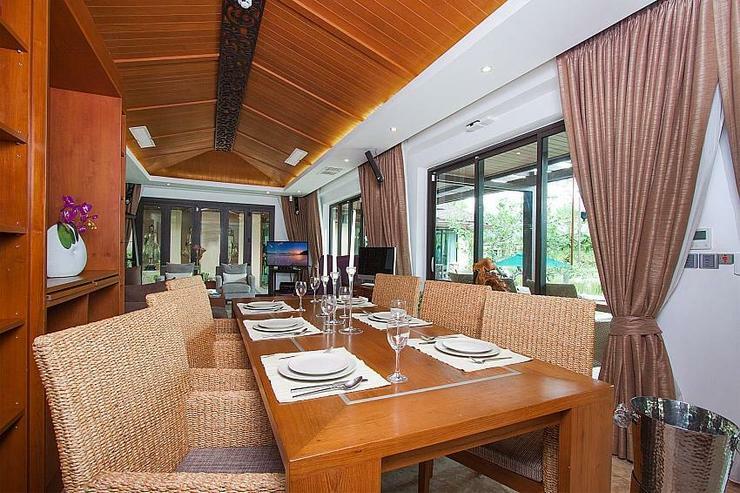 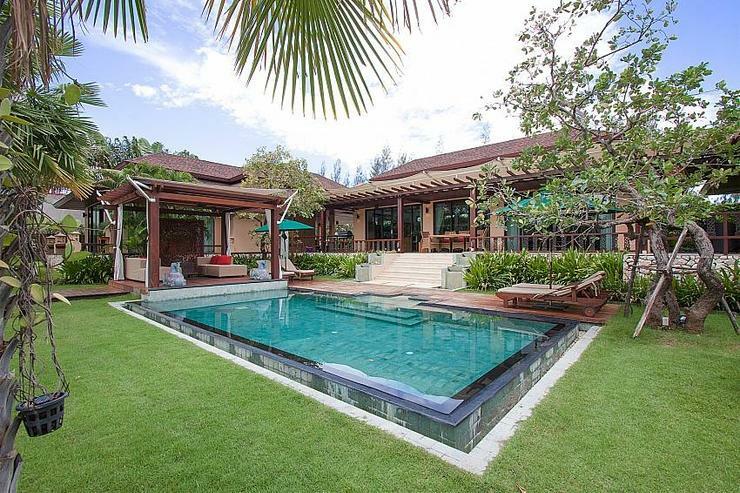 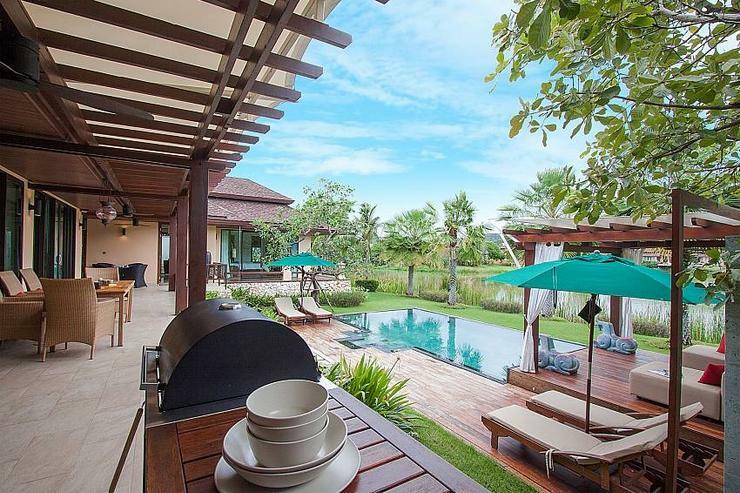 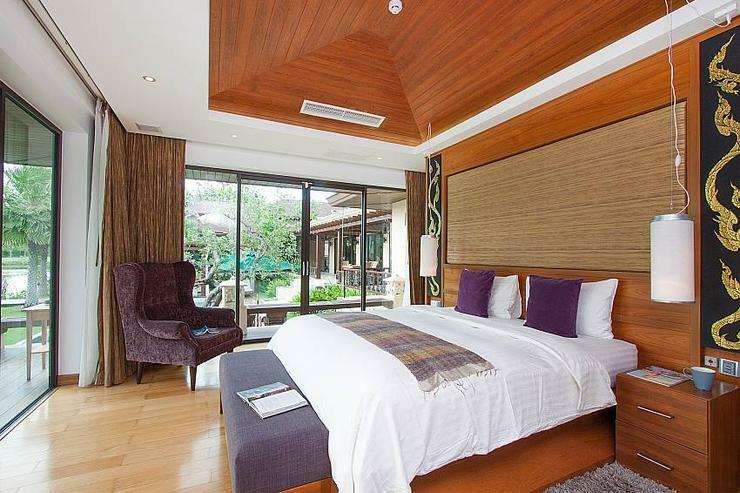 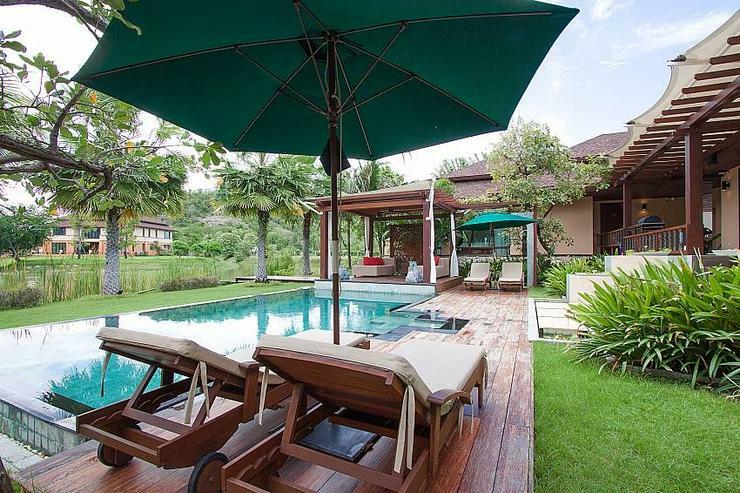 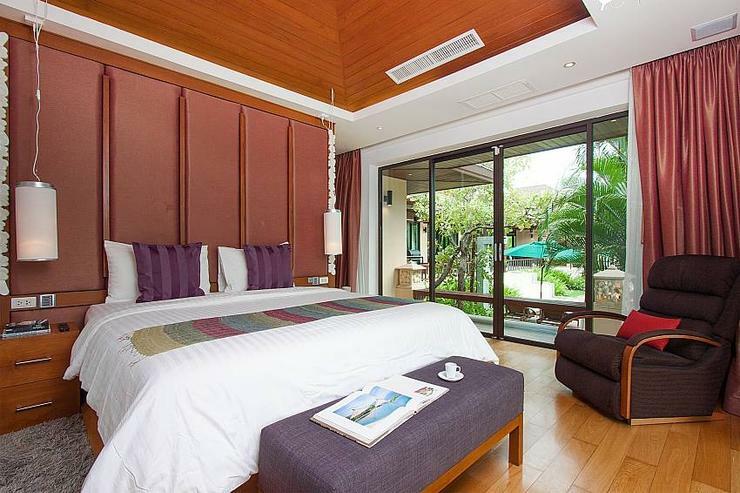 It is in a serene area 20 minutes’ drive away from Hua Hin city centre. 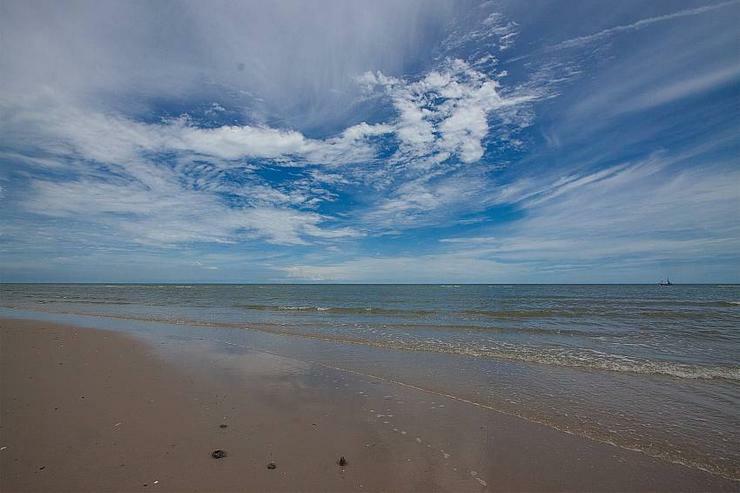 The nearest beach is mere 1.2 km away. 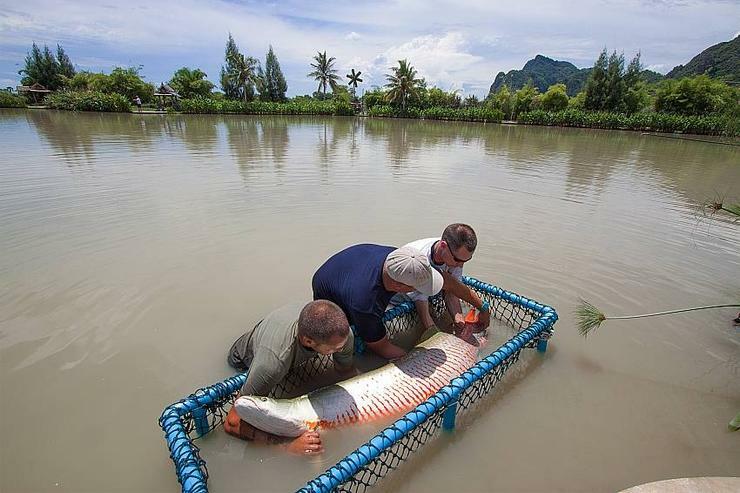 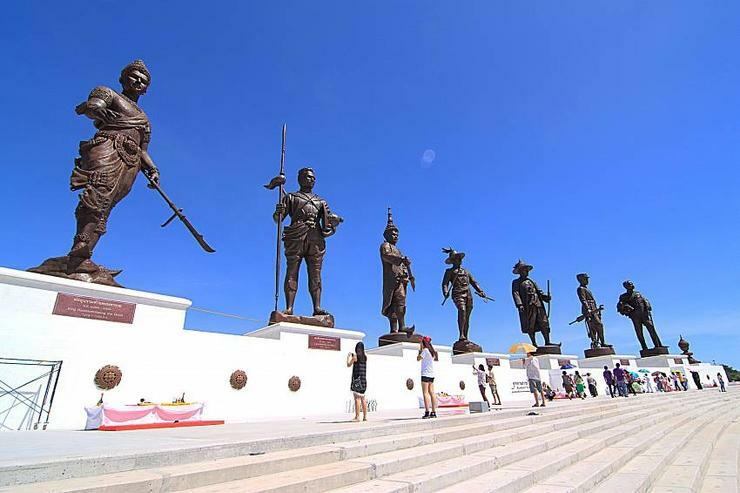 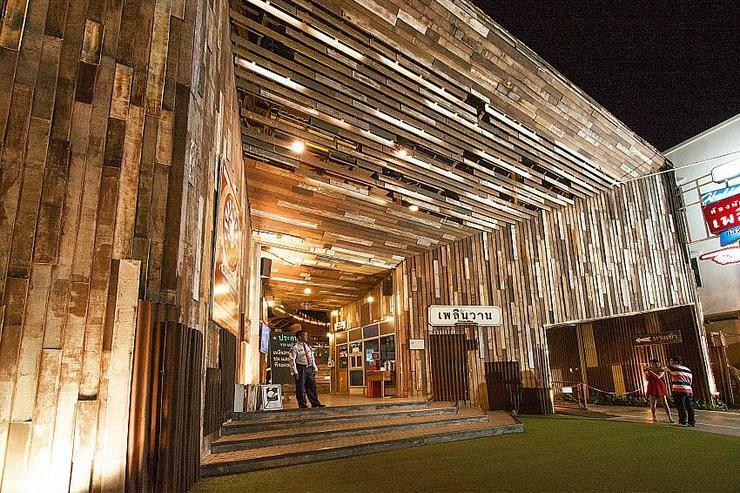 Located in Hua Hin City, Hua Hin. 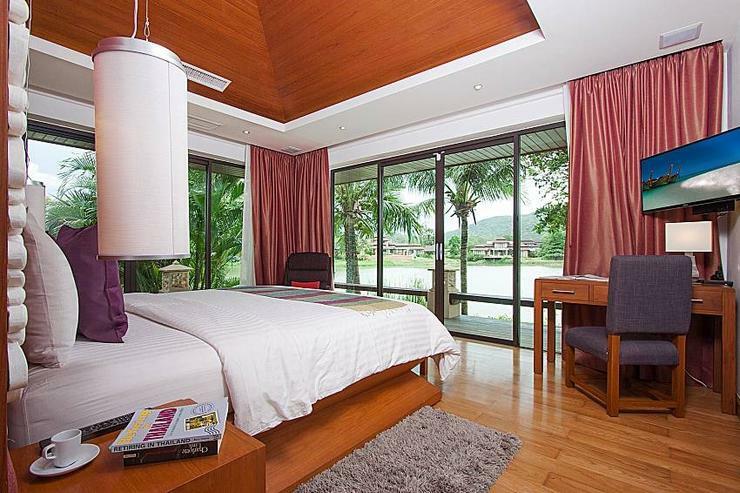 Baan Kiet 2 is a in Thailand.